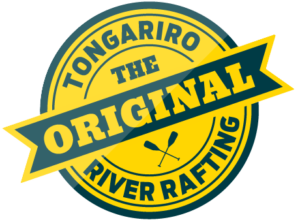 Welcome to Tongariro River Rafting: we’re a fun, friendly, family-owned company offering guided Tongariro River experiences from our awesome home base in Turangi. For down-to-earth Kiwi backcountry fun, we can’t be beat! The Tongariro River is our absolute passion, and there isn’t an inch of it that we don’t know like the backs of our hands. TRR is owned & operated by local outdoor-adventure legend Garth Oakden. Come and explore New Zealand’s remote backcountry with us! TRR founder Garth knows exactly what it’s like to be seduced by the rugged beauty and laid-back outdoor lifestyle of the Taupo region – he arrived here 30 years ago for a 6-month rafting stint, met his wife Leigh, and never left! Garth and Leigh built Tongariro River Rafting from the ground up (or should that be from the river up?) 28 years ago. Since then, over 200,000 paddlers have rafted, tumbled, bounced and laughed their way downriver with Garth and the TRR crew at the helm. With that many customers over such a long period of time, we take our responsibilities seriously and ensure we always have the correct certifications – so you know you’re in safe hands when you get on the river with us. With the rafting business flourishing, Garth couldn’t resist adding two of his other great passions to the offering: Mountain Biking and Fishing trips. Mountain Biking is an awesome way to explore the Southern Taupo region: we have trails to suit everyone from beginner to expert, including world-class tracks like the 42 Traverse and the Great Lake Trail. Hire Mountain Bikes from us to explore independently (we have kids mountain bikes and e-bikes too), or take advantage of our local knowledge with a guided ride. The Tongariro River is home to huge wild New Zealand brown and rainbow trout in their thousands. The fly fishing opportunities are legendary – even the Queen Mother, a keen angler, came to cast a fly here! Our raft fishing trips give you access to stretches of river you can’t reach by road. With Grade 3 rapids to navigate along the way, you get two awesome adventure activities in one hit. We’re a friendly, happy bunch: when you get to spend each day doing what you love in one of the most beautiful settings on earth, it’s hard not to be! Not only do our river guides have a passion for the outdoors, we make sure they have a passion for people too. There’s nothing more rewarding than encouraging first-time rafters to have a go. Our clients come away with new skills and we get a huge buzz from seeing their confidence grow as they test themselves a little. We love showing off our spectacular backyard to visitors from all over the world. Based in Turangi (40 minutes from Taupo township), we’re surrounded by breathtaking mountain ranges, sweeping forests, and some of the most pristine fast-flowing waterways you could possibly imagine. As proud conservationists, we’re passionate about preserving and educating people about our lush wilderness environment and its inhabitants. Come on any of our trips and you’re likely to spot a Whio, our highly endangered native Blue Duck. They can only survive in the most sparkling-clean New Zealand waterways like the Tongariro, and there are less than 3000 left in the world. Keeping Whio safe is our highest priority, with Garth founding the Blue Duck Project to protect them from predators and pollution. The whole Turangi community gets involved, and you can even come on one of our Blue Duck Rafting Experiences and help us check the traps we’ve installed along the riverbank which keep predators away. 10 years ago there were only three pairs of Whio living on the Tongariro River. Thanks to the Blue Duck Project nearly 30 pairs have moved in and raised their families here! Want to discover the most awesome ways to explore the Great Lake Taupo region? Check out our favourite things to do in Taupo on our blog. Over the years, we’ve been featured in well known media outlets – you can read articles written about us below. We are active on social media, so for the latest updates, check us out on Facebook and Instagram. We also upload fresh images of our adventures every day – check them out here.